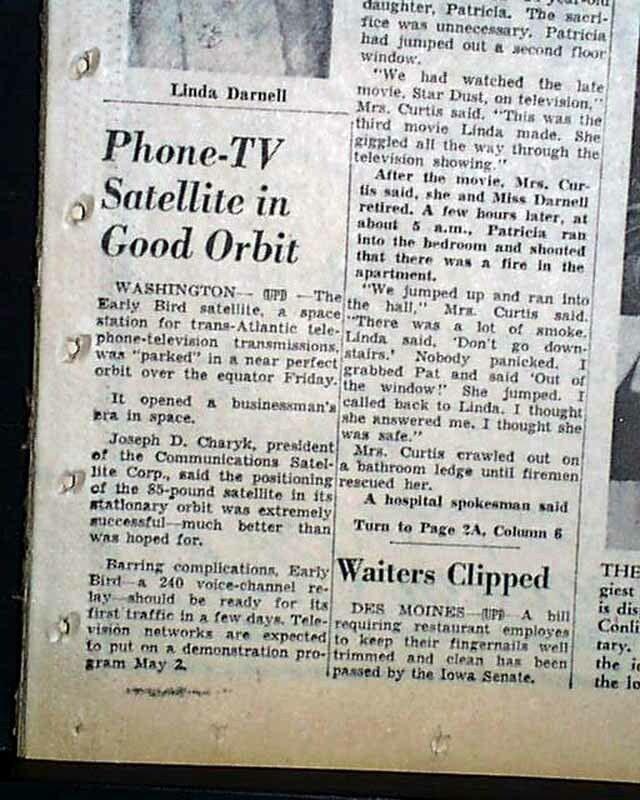 DETROIT FREE PRESS, Michigan, April 10, 1965 The front page has a two column, three line headline "Linda Darnell Burned Critically In Rescue Effort". 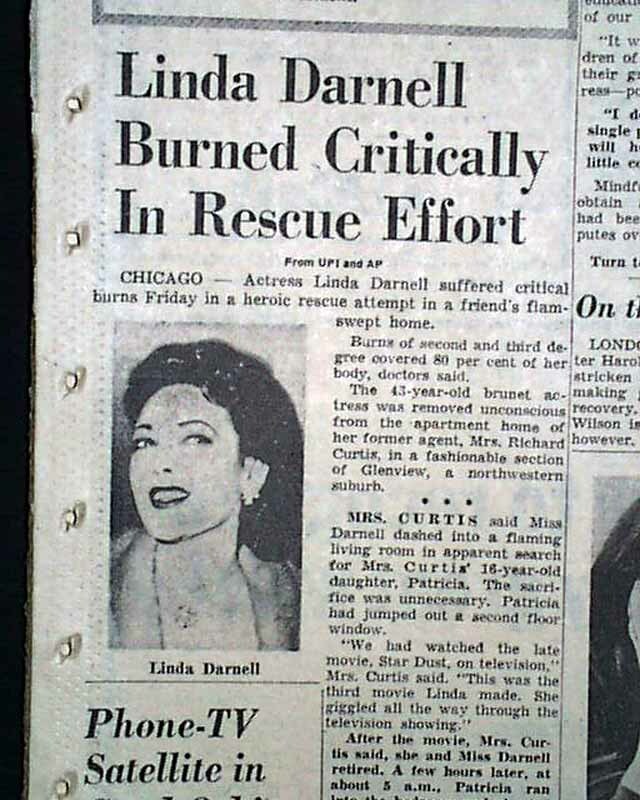 "Actress Linda Darnell suffered critical burns Friday in a heroic rescue attempt in a friend's flame-swept home. 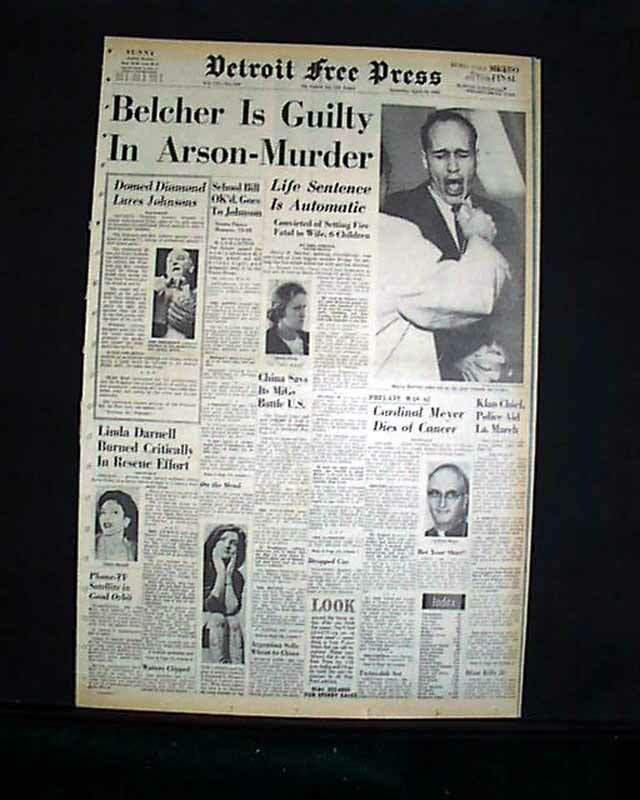 Burns of second and third degree covered 80 per cent of her body..." This includes a small photo of Darnell. She subsequently died on the following day as a result of the burns. 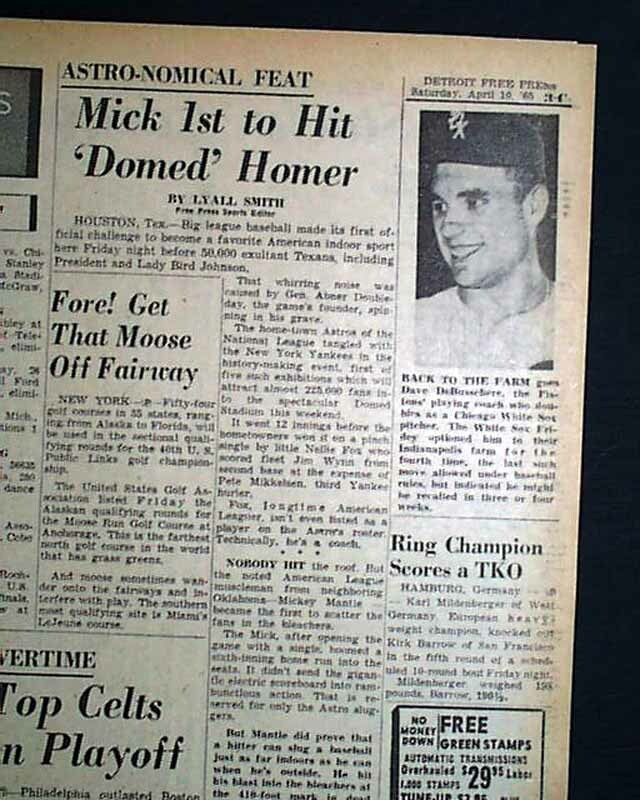 The sports page has a headline "Astro-Nomical Feat - Mick 1st to Hit 'Domed' Homer". 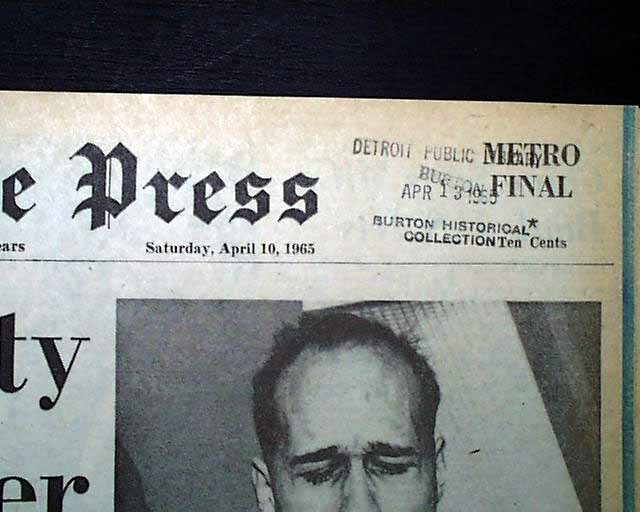 "Big league baseball made its first official challenge to become a favorite American indoor sport here Friday night before 50,000 exultant Texans, including president and Lady Bird Johnson..." This is the reporting of the first baseball game played in the Astrodome. Complete in 34 pages with a library stamp in the upper right margin and binding holes along the left spine, otherwise in very nice condition.